Leslie B. Sims received his B.A. with Honors from Southern Illinois University in Carbondale in 1958. He then went to the University of Illinois in Champaign/Urbana and earned his M.S. degree in 1961 and Ph.D. in 1967. Upon completion of his Ph.D., he became an Assistant Professor in the Department of Chemistry at the University of Arkansas in Fayetteville in 1967. 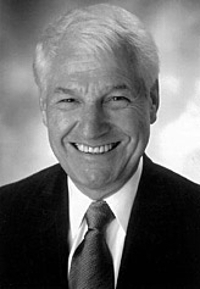 At Arkansas he rose through the ranks to Associate Professor in 1970, Professor in 1975, and Chair in 1979. In 1983 he accepted an appointment as Professor and Associate Dean of Research at North Carolina State University. There he moved up the administrative ranks and became Acting Dean of the physical and Mathematical Sciences, 1988-1989, and then Associate Vice Chancellor for Research, 1989-1991. Seeing other opportunities, he moved to the University of Iowa where he accepted an appointment as Professor of Chemistry and Dean of the Graduate School. In 1997 he became Associate Provost for Graduate Education and in 2000, Vice Provost. Professor Sims has been a Visiting Scientist Fellow, 1974 and 1997, in the Scientific Research Council of Great Britain and a Faculty Affiliate of Mount Marty College in Yankton, South Dakota, 1976-1977 and 1982-1983. He is a member of Phi Lambda Upsilon, Sigma Xi, Phi Eta Sigma, Phi Kappa Phi, and Pi Mu Epsilon. He has served on the National Science Foundation Advisory Committee on Minority Programs, 1995-1998; served on the National Association of State Universities and Land-Grant Colleges Council on Research Policy and Graduate Education's Executive committee, 1994-1996, and chair, 1994-1995; served on the Users Services Committee of the Graduate Record Examination, 1994-1997; and was President of the University of Arkansas chapter of Sigma Xi, 1978-1979. His research has encompassed the dynamics of chemical reactions, kinetic isotope effects, gas phase kinetics, unimolecular reactions, and molecular vibrations. He has held grants from the U.S. Department of Education, the North Carolina Biotechnology Center, and the National Science Foundation.